WOW! No bar code stamped on the inner ring of the disc, looks legit! Is that a game manual inside the case? I think the repressings did not have a manual. JoeAwesome wrote: If this guide is correct, Sapphire could be a bootleg. Still, it's not a bad price at all for the lot if it ends up being high-quality reproductions. Tanooki wrote: Images aside, if you read the descriptive about the disc itself and the ring, ring code and the rest they're a 100% match for his $5 pick up. The artwork looks right there too, doesn't look like a fraud to me at all, and even if the color is off a hair we're looking at an old image where a photoshop app could have messed with saturation a bit, and if not the newer image could also have a color shift to the game just having seen a light touch of UV at some point too. 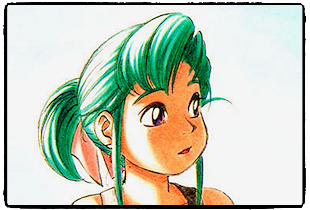 It really seems to be a match and I've seen enough examples of boots pop up in the history of that pcengine fx forums before. I'm no expert as I don't own it, but all the others who point out obvious vs less obvious stuff makes me think it's a steal of a lifetime there at $5. mjmjr gave me a reproduction of Ginga Fukei Densetsu Saphire right here on Racketboy. He had access to some of the well made pressings, but that was years ago. 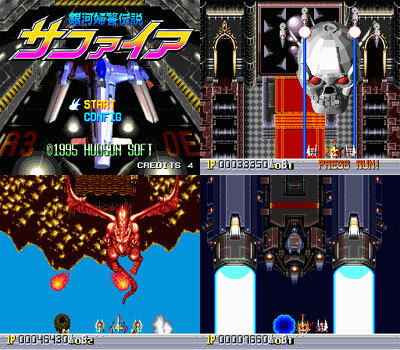 I do not own a PC Engine, but the disc plays just fine emulated on a PC computer with Magic Engine Emulator. mjmjr25 wrote: So, after getting a bit annoyed at people admittedly selling these for money on ebay, i've decided to source a few more and will give them away to racket members. The original game is quite pricey; a 3rd party named Care4Data produced some repressings and not clear if authorized by Huson or NEC. The disc is not a CDR, but an actual pressing, I wrote a guide on it back in 2012. Great info from Breetai in the replies at the thread. Ginga Fukei Densetsu Sapphire - A Bootleg worth collecting? 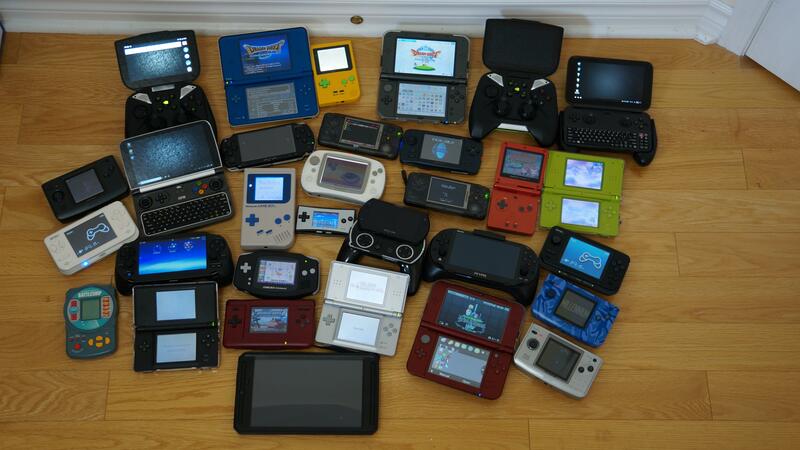 Just got myself GPD WIN1 and WIN2 this week and now it's in my handheld collection I have collect for a while. Spotted this strange controller and thought at first a web browser controller specific for Amazon due to the logo. 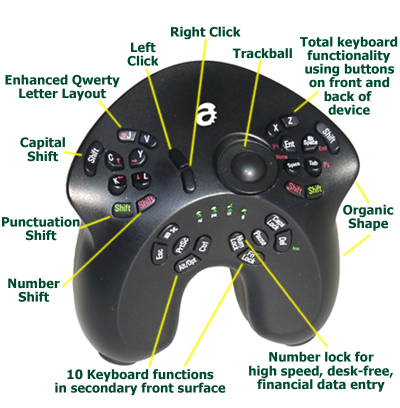 Turns out not related to Amazon, but emulates a standard USB Keyboard as well as a built in three button Trakball with scroll wheel emulation. Confirmed online this has the newer LED sensor trakball and instead of older model with mechanical style rollers, a nice bonus considering either version hard to find. Underneath has a standard USB input and a USB output for powering a portable LCD or cell phone. Unfortunately no built in Bluetooth for smartphones and no built in battery. Perhaps a simple cable connect pulling micro USB power from cell phone and keybord detect? 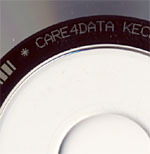 A Bluetooth dongle could be also plugged in for the "game control text keyboard". This would require a tricky relearn of the qwerty to use as a portable keyboard and a bit crazy to use as a dedicated game controller. On the other hand, some games allow custom input setting of keys and there are keyboard remap programs that can reassign any of the buttons for virtually any game. The controller certainly obscure, just a few hits on Ebay with results showing all sold. All the complicated key button controls; a challenge for me to try a game with yet another control style. 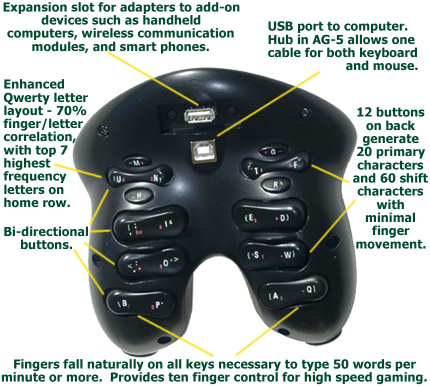 It’s the notorious “worlds ugliest controller” that’s been posted on the internet for years. I never saw one in real life. I kinda thought it was a myth. It’s actually supposed to improve typing and improve ergonomics, but there’s such a steep learning curve for using it, and I can’t imagine a claw grip actually being ergonomic. Found at a yard sale on Saturday. $11.00 for all. joehero wrote: Found at a yard sale on Saturday. $11.00 for all. 5 screw Balloon Fight - $20. Not a stellar deal, but cheaper than the average on ebay. Balloon Fight has been a bit of a white whale for me for the last decade. It is one of my favorite Joust clones but I just have not found a copy for sale in person until last weekend. Now I am down to a handful of NES games that I still want.